At E3 last year, a surprising crossover fighter was announced for Switch. 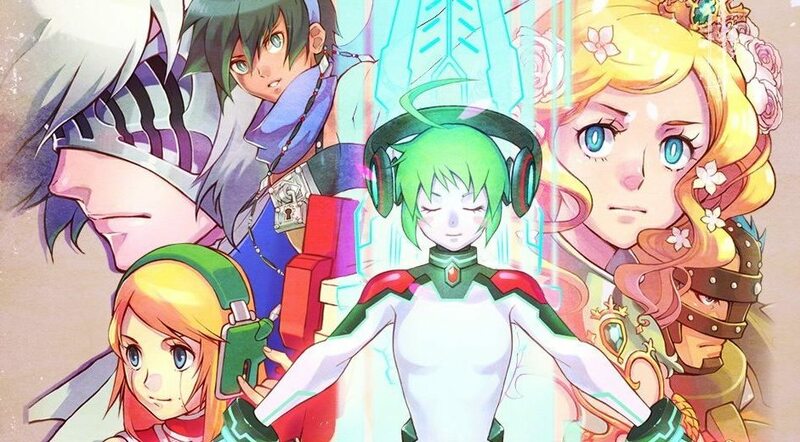 Studio Saizensen is working together with Nicalis on Blade Strangers, a game that features characters from Cave Story, Code of Princess, Sayonara Umihara Kawase, and more. We recently had a chance to speak with director Toshinobu Kondo to learn more about Blade Strangers. Kondo talked with us about topics such as the game’s Story Mode, trying to create an accessible but deep fighter, and more. We also asked about keeping online lag to a minimum and making use of Switch’s features. Our full discussion with Toshinobu Kondo can be found below. What prompted the idea to create an all-star style game with characters from both Studio Saizensen and Nicalis? I believe fighting games were originally based on competitions that featured all-stars, such as all-stars from various fighting skills and/or representatives from different countries. With Blade Strangers, we worked closely with Nicalis to retain that spirit and we had a lot of fun selecting our own all-star battle lineup. Which character was the most interesting to work on? Which one did you have difficulties transforming into a fighter? Creating characters involves pumping a lot of life into that character. Each and every character was extremely fun to work on, but if I had to choose, I would say Lina was a highlight for me. Regarding characters that posed challenges to work on: Kawase’s fishing lure, Curly’s Machine Gun and Solange’s sword all made it difficult to adjust the battle balance. Characters who hold weapons can sometimes be too advantageous in a fighting game, but we are happy with the balance that we’ve achieved. Blade Strangers took a unique approach when designing the characters. 3D models are used to render individual animation frames, and are then converted into sprites and manually touched up by artists. What led to this approach and did it make for a much easier and fluid development process? 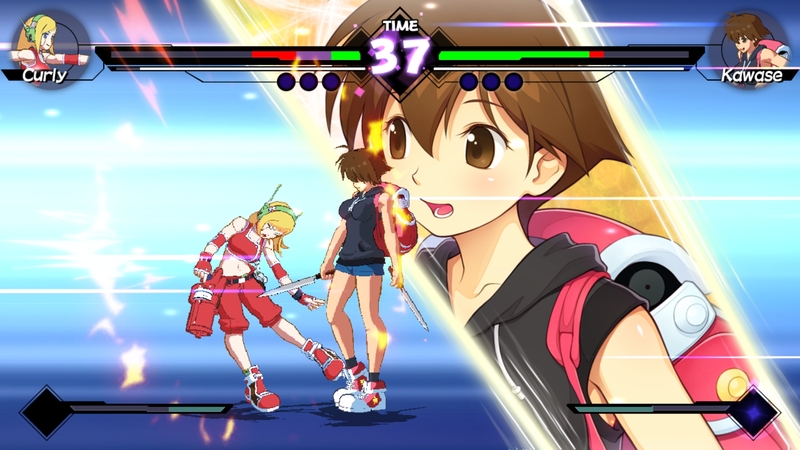 For more than 10 years, Studio Saizensen has made games with this “3D to 2D” approach and Blade Strangers represents the culmination of this technique. It has been refined to the point where the artists don’t have to do any touch-ups and we are able to use the rendered art as-is. This has made the development flow extremely efficient. How are you addressing character balance in the game? For a long period of time, we’ve had highly-ranked Japanese fighting game players testing the game and providing feedback on all aspects of it. They are tournament winners and play fighting games at extremely high levels, so we value their opinions. In the end, we take their feedback and discuss everything in-house to determine the best direction for every character. Several different modes are planned, including Story, Missions, and Arcade. What can fans expect from these different features? The story in Story Mode is based on modern space science. It’s mostly made up, but in truth, it’s actually for real! (lol) We look forward to seeing what players think of it and how they will analyze it. There are also some parts of the story that give you new background information about the characters and the games in which they originally appeared, so fans can look forward to that! Regarding the other modes in the game, we’ll share more details on those in the future. The game will feature a streamlined button format that makes it accessible from the get-go rather than alienating a potential player base right away thanks to over the top intricate combos. Was this a decision made right away to appeal to a broader player base including those who are a fan of the games of the characters included so they don’t feel intimidated? And are the controls simple enough for an easy pick up and play style? In our previous fighting games, we received feedback from some users saying that the button commands were too complicated and that it made the game difficult to play, so we decided early on that Blade Strangers would not include any button commands that required memorization. The concept was to make a game that anyone can play, while ensuring that it was still a fun fighting game with depth for advanced players too. We believe that all players will be able to easily become familiar with the controls and spend lots of time honing their skills. We’ve heard that online play will have minimum input lag. How is the team working to ensure this? First off, there are no complex button commands, so the data that needs to be transmitted between online opponents is greatly reduced, compared to other online games. Additionally, our team has experience in creating many games that have online play. In those previous games, we conducted extensive online play testing in different locations, including from the east coast to the west coast in America, so the lessons we learned from those experiences really helped out this time as well. Is there additional content and support planned well beyond launch to keep things fresh? Is it possible we may see characters come from outside of Nicalis and Studio Saizensen? We haven’t announced anything official yet, but please look forward to new Blade Strangers announcements in the future! Will the Switch version support split Joy-Con play with single controllers and / or HD Rumble? Split Joy-Con play is under consideration, but we haven’t confirmed it for Blade Strangers at this time. HD Rumble will not be supported in this game. What’s one aspect that fans may not know about Blade Strangers? There are still many elements that have not been revealed yet, so please look forward to our upcoming announcements! Nintendo Everything would like to thank Toshinobu Kondo and Nicalis for working with us on this interview.